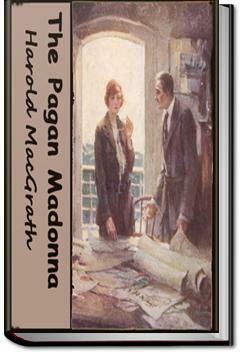 The Pagan Madonna, one of Harold MacGrath's numerous novels, set in Shanghai, tells a story of intrigue, murder, and illicit art “collecting.” The paths of Jean Norman, a Red Cross nurse from the United States, Ling Foo, a shifty pawn shop keeper, and Anthony Cleigh, millionaire art collector, cross and recross in growing intrigue over a string of beads. It is a world where “. . . every move you make is governed by Chance--the Blind Madonna of the Pagan . . . .Tired. That was it. Tired of the war for existence; tired of the following odours of antiseptics; tired of the white walls of hospitals, the sight of pain. On top of all, the level dullness of the past, the leaden horror of these months in Siberia. She laughed brokenly. Gardens scattered all over the world, and she couldn’t find 58 one—the gardens of imagination! Romance everywhere, and she never could touch any of it! Marriage. Outside of books, what was it save a legal contract to cook and bear children in exchange for food and clothes? The humdrum! She flung out her arms with a gesture of rage. She had been cheated, as always. She had come to this side of the world expecting colour, movement, adventure. The Orient of the novels she had read—where was it? Drab skies, drab people, drab work! And now to return to America, to exchange one drab job for another! Nadir, always nadir, never any zenith! A little repetitive in places, but the characters and plot are truly engaging. I couldn't help but laugh on a number of occasions at their plight and the games they all played. It's a quick and entertaining read. Pleasant tale, more psychological drama than actual action adventure. I'll have to try more from this author later.